From East to West, algae bloom has reached the Pyramid Lake in California and the coastal water of Florida. For the first time, the Utah Lake was completely shot down for the public as deadly, and rapid-spreading algae threatened the life of users. On Saturday, the Utah County Health Department announced the closure of the Utah Lake to the public due to a toxic algae bloom that contaminated 90% of the water, and that has already infected eight people. On Wednesday, health authorities collected samples of the water in the Utah Lake, as a user of the Lake reported that there was something strange with the water. The samples demonstrated that there was between 34 and 36 million toxic cells per milliliter, more than three times the levels considered by the World Health Organization (WHO) as a level of health risk. These samples prompted the shutdown of the lake to protect civilians that use to go there to fish, swim and recreate themselves. Since 10 July, eight people have been reported with illness after exposure to the lake's water. The symptoms include diarrhea and vomiting. As well, a mother was alarmed as her sons had a rash all over his body after he swam in the lake, earlier this week. 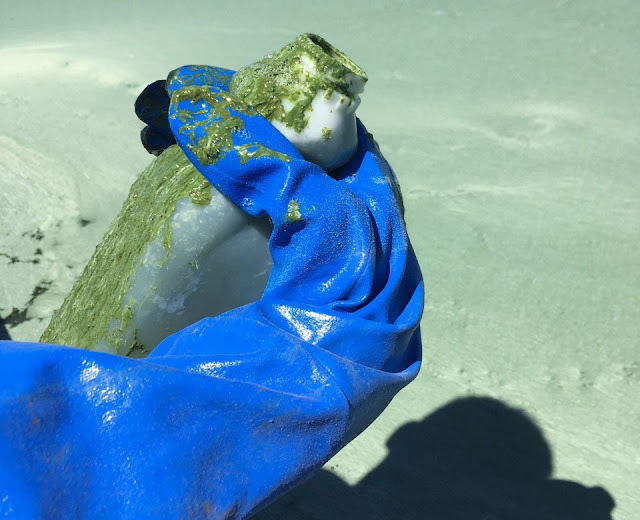 According to the results of the water samples taken by the Department of Environmental Quality, 90% of Utah Lake is contaminated by deadly algae extended from Provo Bay to the Utah Lake State Park Harbor. 70% of the algae bloom is in the public eye, down in the subsurface. However, at the moment there hasn't been found algae infection in the rivers that flow to the Utah Lake. The Jordan River, which is the sole river that flows from the mentioned lake, is under evaluation to determine if the algae in Utah Lake has reached its stream. 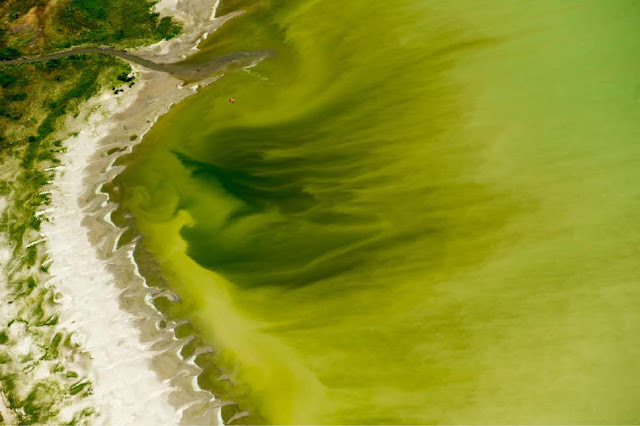 But Utah Lake is not the only body of water with toxic algae contamination in the country. As the spread continues to grow, there is more concern about the health and environmental dimensions of the problem in America. The authorities have not yet set a date for the cleaning of the lake. Usually, the algae tend to disappear with a storm, but given the magnitude of the contamination, they don't know if a storm might help or worsen the situation, according to Jason Allen, manager of the Utah Lake State Park. What is certain is that the Utah Lake Park will remain closed until it is healthy enough for people's use. As well, all boat rental activities and booking in the Lake were suspended, affecting the commercial activities in the lake, too.